I've just done this yesterday from 3:45-8:00 for about $300 (it was supposed to be $400 but they had a promotion), but that's MY length and thickness (a lot, huh?) Today is August 25th, and I washed it about 2.5 hours ago. I was very pleased to find that I only needed a half-dollar size amount of conditioner and it only took me 30 seconds to detangle it! While it was wet, it felt like wet silk and it felt 3x thinner, but what scared me a little bit is that the curl pattern itself looked close to what it was before! I thought oh, well, maybe I'm just being paranoid. It's completely dry now, and it looks NOTHING like what it was before! It is really wavy with loosely curled ends and feels like silk! Do you have any pre-BKT hair pics? 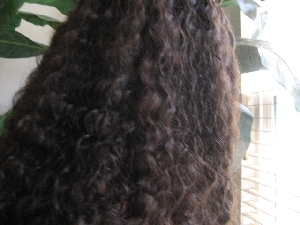 Compared to my hair now:laughing3:It takes out about 50% of the curl. In my case, I went from a 3b to a 2c. Thanks, Nora! I am a 3c, and I would be happy if it just took me down to a 3a or 3b-light. You're welcome I think you'd be a 3a or 2c once done. The more you do it, the more it'll improve. What did you do with your hair those first nights before you could wash it? I just left it down and slept on a silk pillowcase. You're not supposed to do anything to your hair (except brushing it or flat-ironing it) for the 1st 4 days. 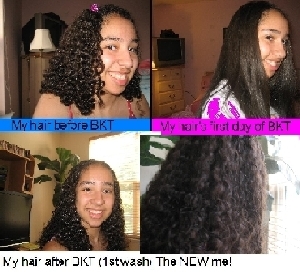 My thread: "My 'educational' thread on the Brazilian Keratin Treatment" gives a lot of info about it. No offense but I think it looks the same. It's probably because of the size of my pictures that made it look that way. 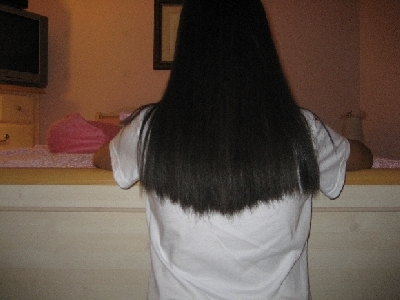 Trust me, now my hair is nothing close to what it was before. It's longer, looser, doesn't shrink after washing, and not to mention it feels 3x thinner (in a good way). Your hair look very good! I bet it's softer. Looks fantastic! I'm so glad to see that it doesn't completely straighten your hair. I'm researching Keratin products and I've been reading a lot about the Coppola Keratin treatment. Is this the one you used? If not, can you please tell me the brand? Thanks. That's exactly what I used. The shampoo and conditioner I'm using is La Brasiliana.